My mind revolves around images and sounds, which both give me guidance and stability. Abstract paintings help to shed irrelevancies, as their purpose is not to represent anything special, but rather to disclose what is behind them. Fragments and impressions of reality … being deeply ingrained in nature … and my very personal history. My pictures tell of what I notice and feel. Earlier on I was a musician as well, but I had to make a choice. Melodies, rhythms and sounds - I have always perceived them as shapes and colors. And in many of my works it is music that is still playing a leading role coming into play. It is my intrinsic visual world and associative spaces, emotions that are created by sounds. This is how colorful experiences as well as monochrome shapes emerge, small graphic prints, but also larger-format paintings, a sort of visualized segments of my awareness and an approach to their hidden secrets. Drawing is a key element in my everyday routine, producing concepts, initial sheets or quite often even series. Time and again I try out new techniques: in painting, for instance, ink on canvas or on heavy, high-grade papers … Graphic and experimental calligraphic processes, color pigments, ink, acrylic paints filled/painted with wood glue … thin layers of clay on canvas, at times combined with sand and ash to create an additional haptic effect. Watercolors and chalk are other materials I use. 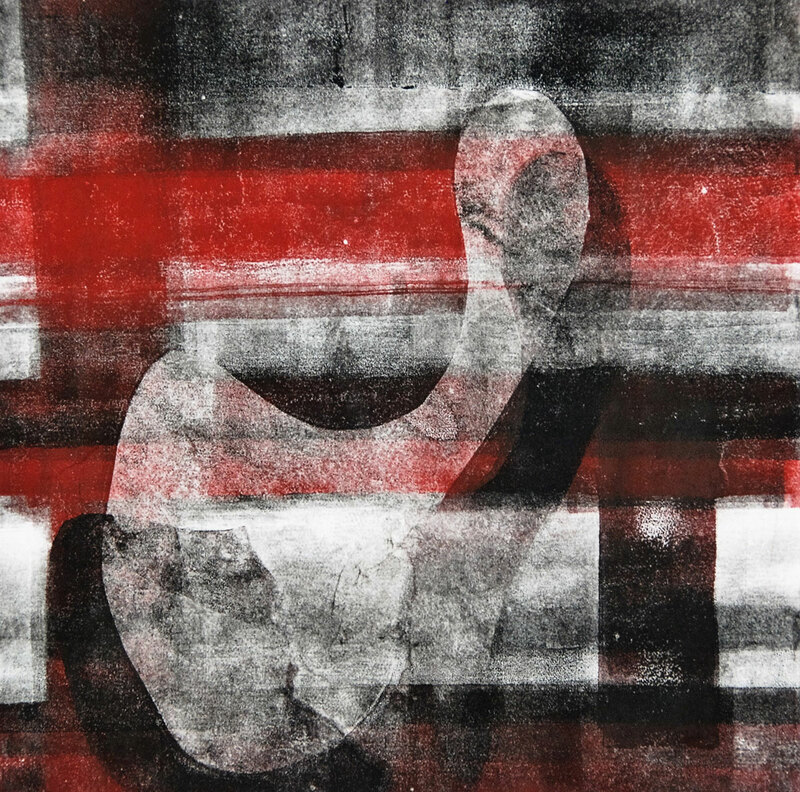 My monoprints and etchings often express a subtle continuation and compaction of a specific theme. I work on prints manually or on the printing press, many times on Japanese paper or copperplate printing paper. When it comes to etchings, I usually create a limited number of prints in addition to several artist proofs.